There’s no hiding it: I’m a huge chicken thigh fan, which means almost all of my Whole30 chicken recipes call for dark meat. Although I used to go for chicken breast when offered a choice between white or dark meat, I never really liked eating it. I just thought it was the healthier way to go and begrudgingly choked down bland, dry, and chalky chicken. Once I went paleo and discovered that I didn’t have to obsessively count calories and eat low fat stuff to be healthy, chicken thighs quickly made their way back onto my menu. Good thing, too. Hands down, chicken thighs are my favorite part of the bird—they’re way more flavorful, easier to cook, and cheaper than chicken breast, too. 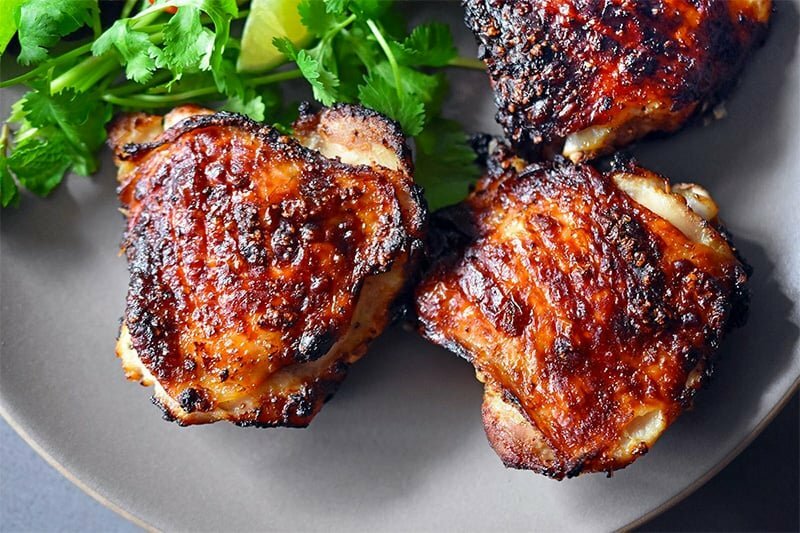 Even if you think you don’t like thighs, give one of my crispy-skinned thigh recipes a try and you might decide to join the dark side with me! 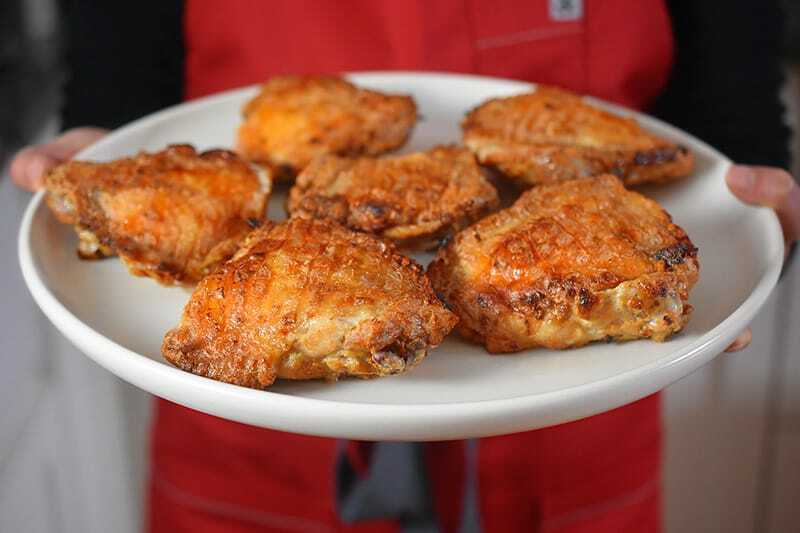 Ollie’s Cracklin’ Chicken: The most popular chicken recipe on my site! It’s so simple, yet amazing! 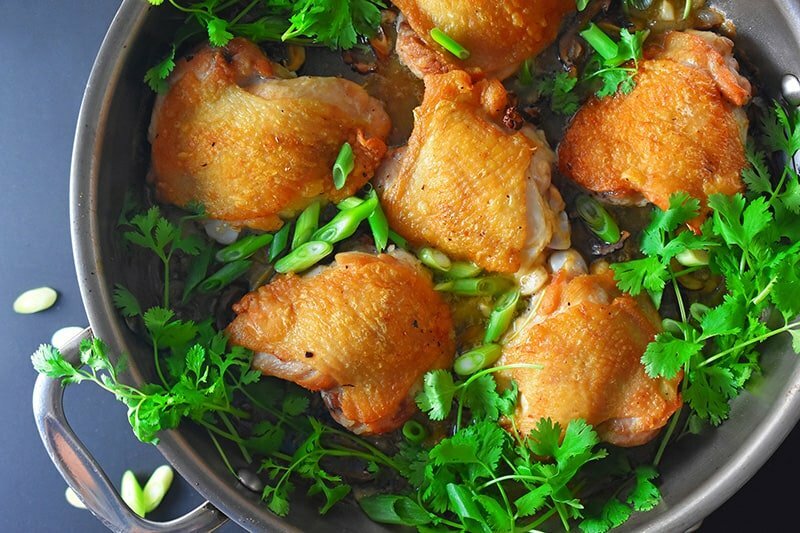 Vietnamese Lemongrass Chicken: This recipe won best paleo recipe of 2015 in Paleo Magazine and it does not disappoint! Find yourself some lemongrass and make this dish ASAP. Umami Roast Chicken: Got some Magic Mushroom Powder? This simple roast chicken dish will prove to you the life-changing power of umami. 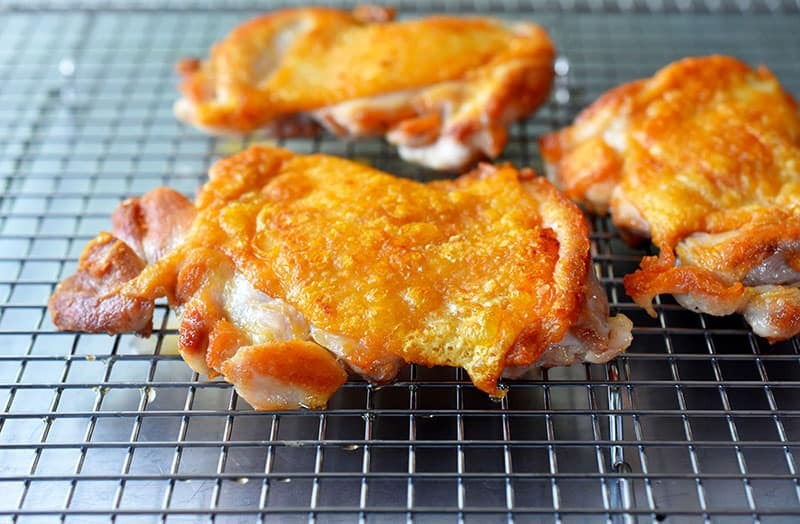 Cantonese Crispy Chicken Thighs: This fab crispy chicken thigh dish is a mash up of Ollie’s Cracklin’ Chicken and one of my mom’s home-style dishes. Yes, that means it’s a winner! 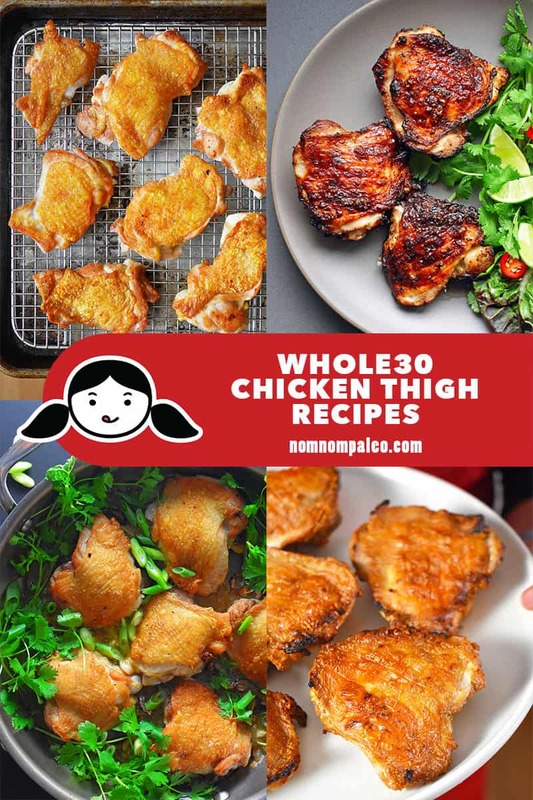 If I haven’t convinced you to switch over to dark meat, check out my favorite Whole30 Chicken Breast recipes here!